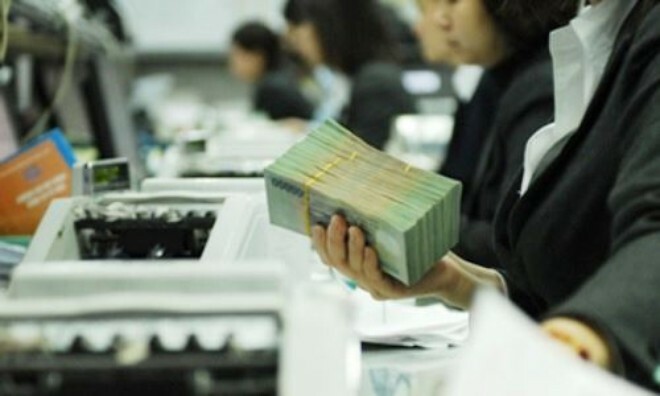 VietNamNet Bridge - VietinBank, one of Vietnam’s largest commercial banks, is considering raising the foreign ownership ratio to 40 percent. If the bank’s proposal is approved by the State Bank of Vietnam (SBV), it will be the first bank with a foreign ownership of over 20 percent. Bao Viet Securities Company (BVSC) in a recent report said that VietinBank wants to become the pioneer in the field. The government, in its Decree 60, raised the foreign ownership limit in Vietnamese public companies to 100 percent. However, the banking sector is of particular concern because of national financial security. VietinBank’s CEO Le Duc Tho has confirmed the bank’s wish to lift the foreign ownership ratio ceiling. He said the process would be implemented in accordance with a roadmap. At first, the rate would be raised to 30 percent, then to 35 percent and 40 percent. Tho emphasized that the plan will still need the central bank’s approval to be implemented, and that the State will still hold more than 51 percent of capital in VietinBank. After admitting PG Bank, VietinBank now has chartered capital of over VND40 trillion. The State remains the biggest shareholder which holds 64.46 percent of chartered capital, or 2.4 billion shares. Bank of Tokyo-Mitsubishi (BTMU) holds 19,73 percent, IFC Capitalization 5.39 percent and International Finance Corporation (IFC) 2.63 percent – or 27.75 percent in total. The other 1.15 percent of shares are held by VietinBank’s workers and 6.64 percent by other shareholders. With such a shareholder structure, an analyst noted, the 40 percent foreign ownership rate would not be much higher than the current ratio. The bank could offer 455.64 million shares more to foreigners, or 12.25 percent. VietinBank’s shareholders’ meeting in April 2015 approved the plan to raise the chartered capital to VND49 trillion. However, no further details about the plan implementation have been released, though the bank only has four months ahead to fulfill the plan. In 2012, VietinBank made an unexpected move when selling approximately 20 percent of shares to BTMU in a deal worth VND15.5 trillion. The deal allowed it to raise the chartered capital to VND32.661 trillion and become a bank with the biggest capital and biggest foreign-ownership rate. An analyst commented that very few banks could successfully issue shares to foreign investors. Dong A Bank, for example, wanted to sell 49 percent of shares to foreign investors to get money for the bank restructuring. However, Dong A has been put under the central bank’s special control due to business problems.